Newly renovated 1903 country house in the Swedish archipelago, situated on the waterfront in a tranquil setting on the sunny side of Skarpö island. A free car ferry link (5 min) to Vaxholm (fishing village) leaves every 20 minutes. The two level villa is Approximately 300 m2, with seven bedrooms (four with double beds, three with twin beds), two bedrooms located downstairs, four bedrooms upstairs, two bathrooms with heated floors, towel racks, and showers (one on each level), library, two TV / sitting rooms, (flatscreens), WiFi, spacious lovely Carl Larsson style dining room, porch, plus two balconies overlooking the water. Fully equipped lovely country kitchen, (dishwasher, stove, microwave, oven, freezer and frig), washer, dryer. The 9000 m2 property is very private, including four separate outdoor sitting areas (three of Which Can Be Used for dining) alongwith barbecue. 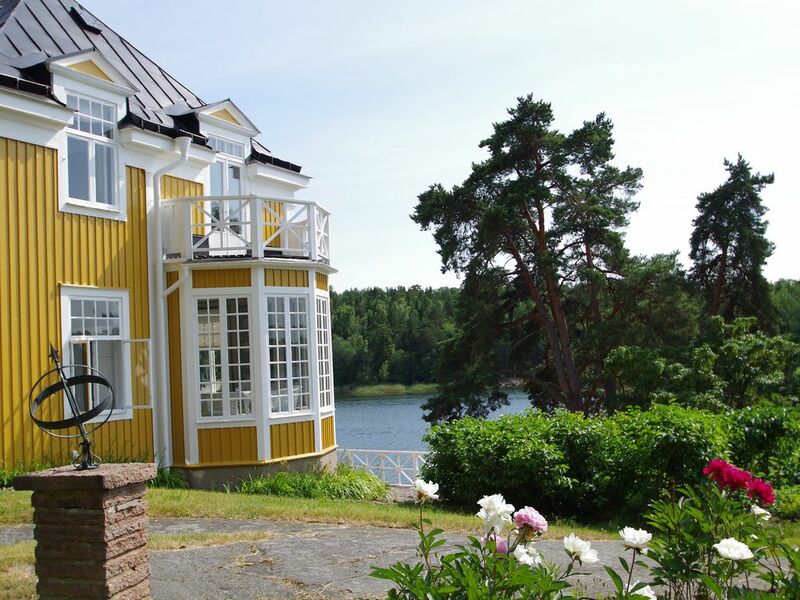 Location: 1 kilometer from the wellknown fishing village of Vaxholm (please visit website at svetur vaxholm for more information about the area). Vaxholm is a 40 minute drive from the center of Stockholm. There are busses and boats going in to the city. Skarpö island, accessed by car, is known for its turn of the century wooden country houses and beautiful forest walks. One restaurant located on the island, plus Numerous restaurants and shops in Vaxholm. Boat trips from Vaxholm's to center of Stockholm are available, along with boat trips to Numerous islands, including Sandhamn.